You don't have to own a copy to pick it as one of your 12. Very nice Chris. I enjoyed that. And it is not at all lost on me that in extolling the virtues of great storytelling you told a pretty fine one yourself. Idling my way on the tropical strand, vast expanse of blue before me, one thing quickly becomes absolutely apparent... what about the dark, sticky impenetrable mass to my rear. What about the terror of the jungle! I would need company, a guide, and protector when it came to surviving the enfolding mysteries of the primeval tangle. Who better to perform the role than Sheena, Queen of the Jungle! Comely, lithesome, mistress of her domain, I would do well by Sheena the first dame of the jungle, rendered and dressed here by the skillful pencil of as the great but little recalled Robert Webb. 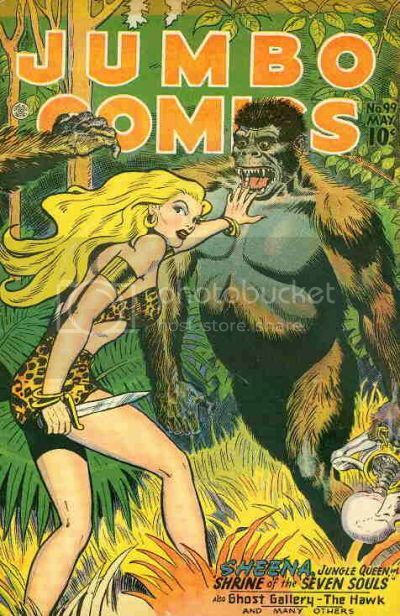 I perhaps should apologize for my weakness for the genre of the jungle comic. Much more than the blanket of humidity, the jungle comic is soaked in some of the worst vices of our age... colonialism, racism and the general sins of the exploiter. And yet, perhaps starting with Tarzan I've long sought out the representatives of this scorned and exiled corner of our comics community. It is, in part, I think, the very remoteness, the anachronism of the jungle comic that has spoken to some contrarian part of my soul. I've amassed a smallish collection of vintage, and more modern, jungle comics and I would consider myself bereft if I hadn't a representative of the lode to remind me of distant shores. Jungle babes, gorillas, and with this issue too the lovely Ginger Maguire as Skygirl from the exquisite touch of Matt Baker recommends this issue to the task of memorializing. Every once in a while I am surprised by what occurs in comics… most of the time it affects me for a few minutes and then I am off to the next thing. This comic made such an impact on me-I had to reread it just to make sure what I thought happened actually occurred. I even remember talking about this issue with some of my buds at the local comic shop after it came out. Projectra has always been a nice character but was never really a headliner as most writers had her more in the background and supporting other heroes… not in this issue however… not by a long shot. She is front and center and shows a resolve and scary determination that ultimately led to victory while avenging her beloved. This was a powerful and moving story that had me shaking my fists in approval. It is one of my favorites for showing me not to underestimate anyone especially if they have proper motivation. Jungle babes, gorillas, and with this issue too the lovely Ginger Maguire as Skygirl from the exquisite touch of Matt Baker recommends this issue to the task of memorializing. Also a Tarzan fan, and I've read some Sheena. Your mention of Matt Baker piqued my interest, and I downloaded this issue. It was good stuff, and the Skygirl story was fun. I'm gonna have to find some more. Thanks! Okay, I mentioned that I'd started w/DC and then found Marvel. At one point, won over by the inclusive fan-friendly atmosphere Stan Lee fostered (and running out of money), I decided to give up DC and become a loyal Marvelite. When I explained that to my mother, she was underwhelmed, until I pointed out that Marvel published fewer titles than DC, and I'd be saving money. So for a while I was happy with the FF, Spidey, the X-Men, the occasional Avengers or Thor. But I saw the DCs sitting there on the shelf, and eventually I noticed that things were changing. The covers were more dynamic, the stories sounded different. And so I decided to pick up a couple of DCs to see if things were different. One of the books I picked to test the waters was Aquaman #54. First, the artwork by Aparo was slick and smooth, figures in motion, tough looking detectives, a creepy haunted house, an old west town out of any B-movie, and a dynamic page layout for the climax. Exciting stuff. And the story? Loved it. There's a crime wave, w/model citizens acting like brainwashed zombies, saying Thanatos has killed them. Then Aquaman, who's been hanging w/some surface friends, is jumped in an alley and beaten. He wakes up outside the haunted house. 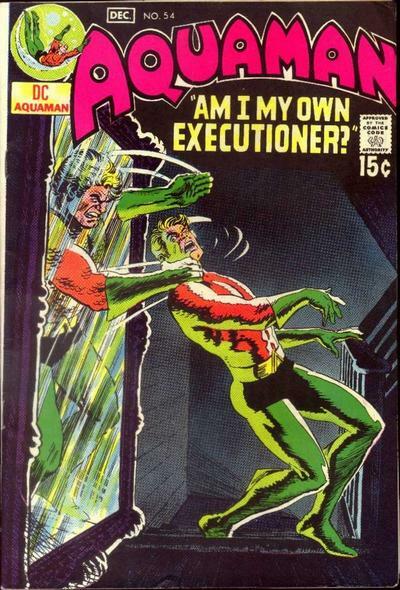 Inside, a bulky, evil version of Aquaman comes out of a mirror and beats him up. He wakes up in Atlantis. He meets Thanatos (the big bad him) again and is beaten. He wakes up in Atlantis. He follows Thanatos to an old west town underwater, and Thanatos beats him. He wakes up in Atlantis. He decides this is getting ridiculous. Thanatos appears, and proceeds to beat him some more. There's a happy ending, but never mind that. The point is this was not the DC I remembered. No Super-dickery, no Batman in space, no riding a seahorse. This Aquaman used his head, and didn't call on his fish buddies for help once. It was part crime drama, with the detective and the (non-costumed) crooks, part psychological thriller (the victims, once 'killed' by their Thanatos, become death-oriented and criminals). (Hey, I didn't say it was good psychology.) It felt mature, and experimental, and cool as hell. This book (and Phantom Stranger #10, which came out about the same time and really should be on my list) helped me decide that maybe there was more out there worth reading than just Marvel. 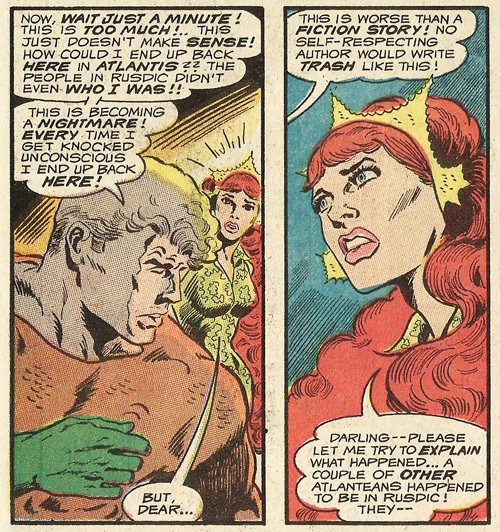 Of course, Aquaman would be cancelled 2 issues later. That's the way my world works. This story very nearly made my top 12 too. Like you, I first read The Joker's Five Way Revenge in a late '70s B&W magazine (a UK publication called The Superheroes and it was issue #3, if memory serves). I've since acquired the story in it's original U.S. comic form in Batman #251. I remember seeing quite a few DC tabloids for sale (and damn few Marvel ones) but I didn't buy many because the price was prohibitive. But I bought this one and loved every single page. And it's pretty odd that I bought it with that big goofy Superman on the cover (yeah...I always hated him). 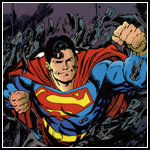 But the Supes story, though it was by far the worst in the book, was actually fairly decent. 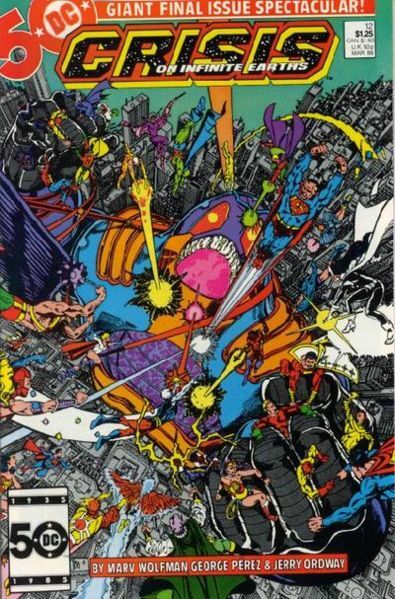 This is just one of those books that expanded my view of the comics world. I didn't buy mystery or western books prior to this one. I didn't buy a lot after, but was certainly more likely too. He establishes Vandal Savage as his first rogue. I don't have much experience with The Flash, although I'm trying to get into the character. Over the years I've heard a lot of people prefer Wally compared to Barry. I wasn't sure why. I just finished reading The Flash Rebirth, by Geoff Johns and it was "meh" to me for the most part. I just wanted to start with something Barry related for some reason. Although I've been thinking about reading up on Wally's stories since again, as I've heard, everyone seems to prefer him. That issue right there looks like a good start. Thanks for the insight. This pick is mostly informed by pure nostalgia, as this is the first superhero comic book I can recall buying, at the tender age of 5 (I had some 'funny animal' comics and some issues of Gold Key's Boris Karloff, Mod Wheels, and Turok, Son of Stone before this one). 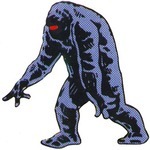 As such, it represents the seed of what would become a virtual lifelong interest in Spandex-clad do-gooders. What I recall most vividly about this issue is, of course, the cover. More specifically, I was fascinated by the dramatic shock of the superhero's secret identity being revealed. That was more startling to me than anything else going on in the story line, of which I recall virtually nothing, as I've not seen or read this issue since 1972. Perhaps it's time to hunt down a copy and get in closer touch with that younger self who was so mesmerized by the ongoing trials and tribulations of Peter Parker.